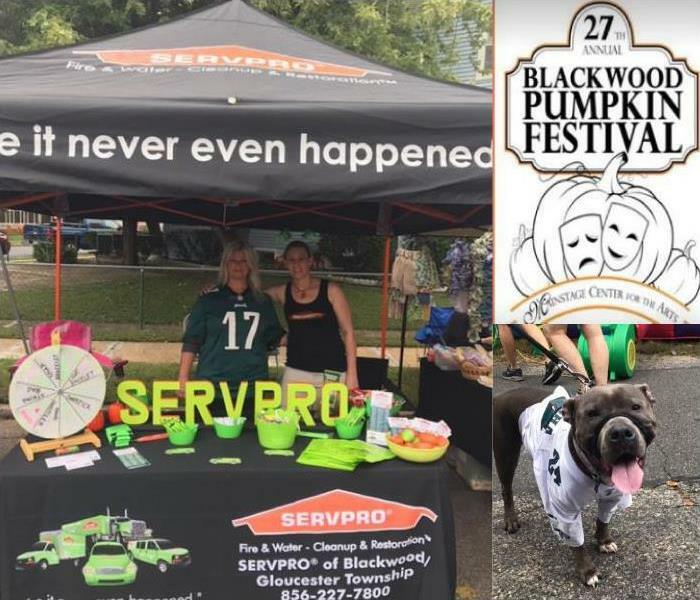 SERVPRO of Blackwood/Gloucestert Township joined in the fun at the 27th Annual Blackwood Pumpkin Festival! 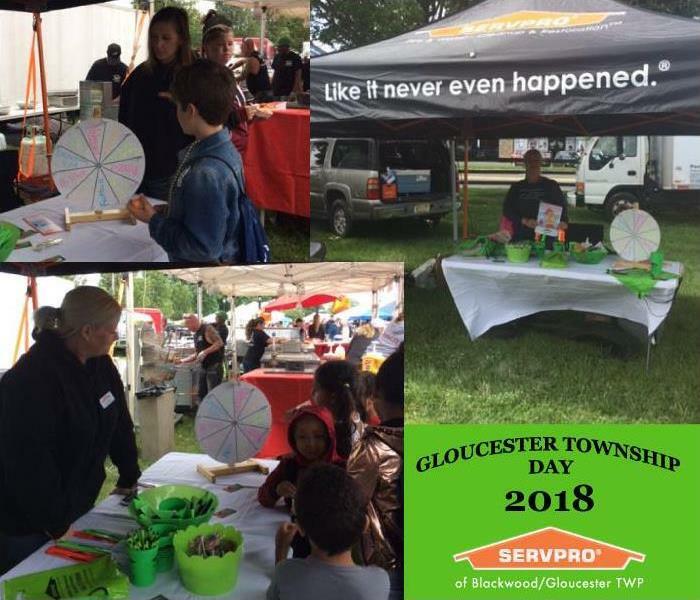 The event was full of food, games, rides, crafts, puppy parade, talent competition and good family fun. 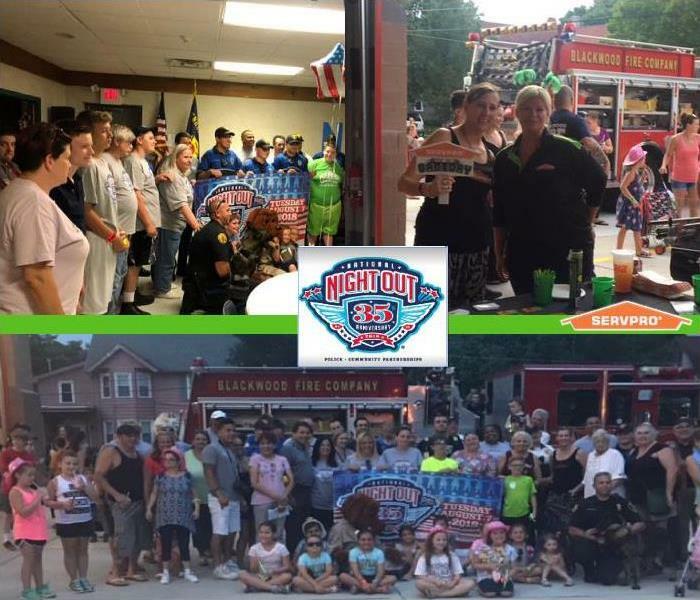 SERVPRO attended National Night Out celebrations at Blenheim Fire Station and Blackwood Fire Company. 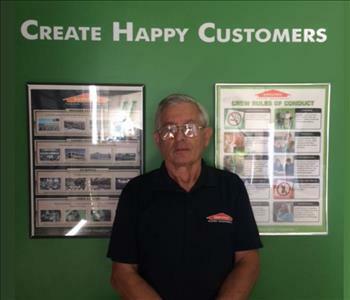 Both locations had games, live music and fun! It was a great opportunity to meet and share some good times with our local volunteer firefighters. 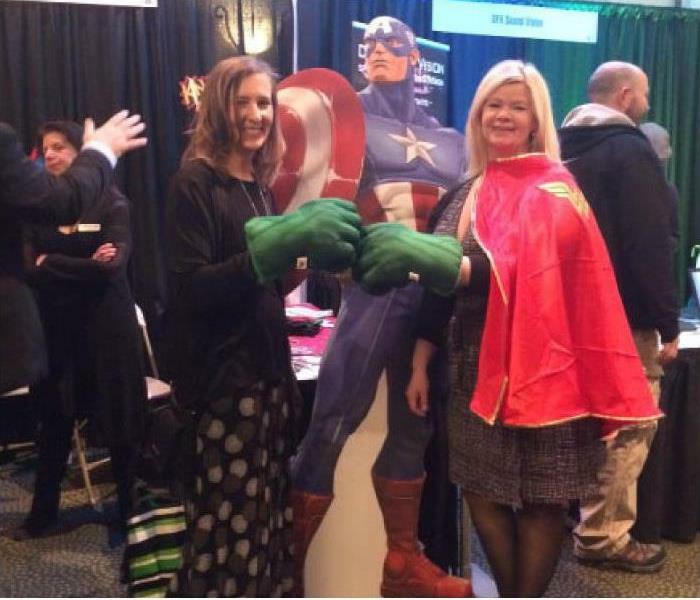 Our marketing duo having fun with the Gloucester Township community. 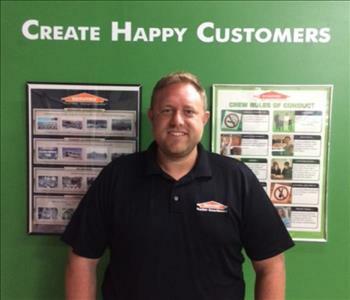 SERVPRO is grateful for all of our Police Officers. 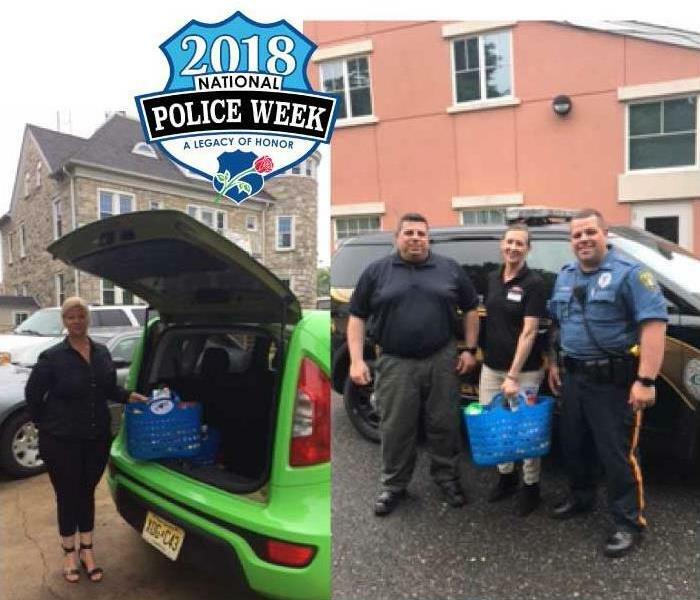 Our marketing team delivered "Thank You" snack and goodie baskets to the police stations in our territory. Wayne, Dave, Donna and Shannon. 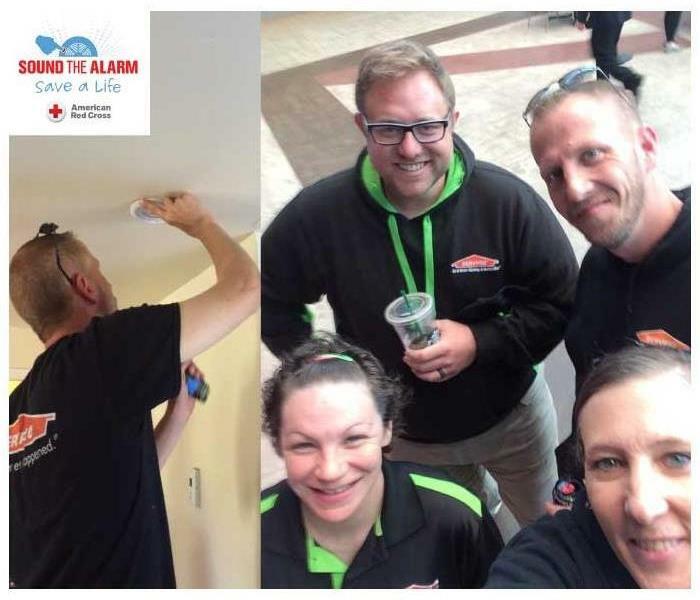 Volunteering with the Red Cross installing free fire alarms in the community. 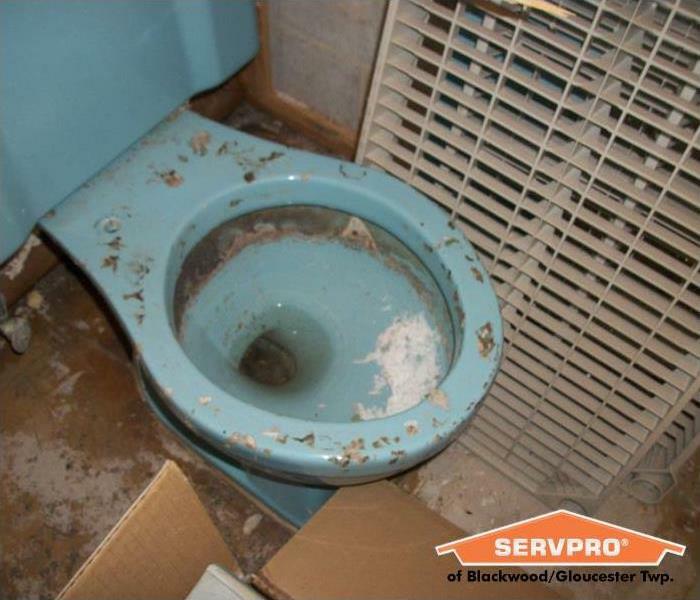 Helping to save lives. 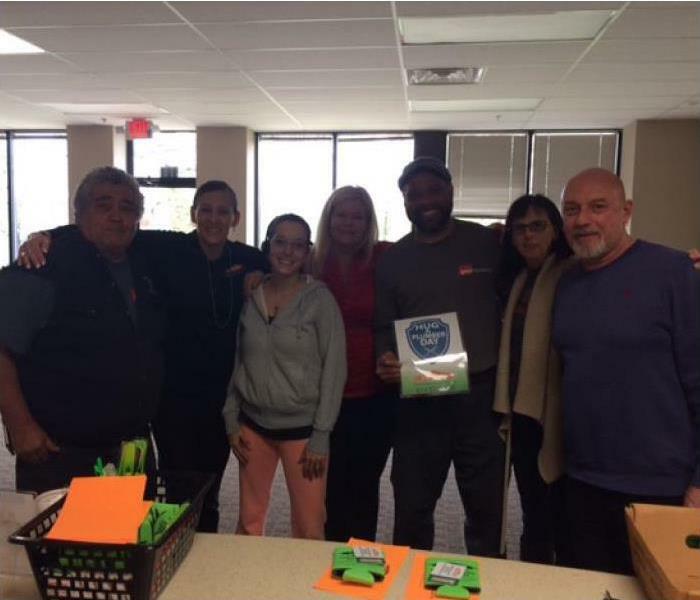 Lynne and Donna at Great Plumbers, getting hugs to our plumbers on National Hug A Plumber Day. Enjoying a fun day of golf with the Camden County Regional Chamber of Commerce. 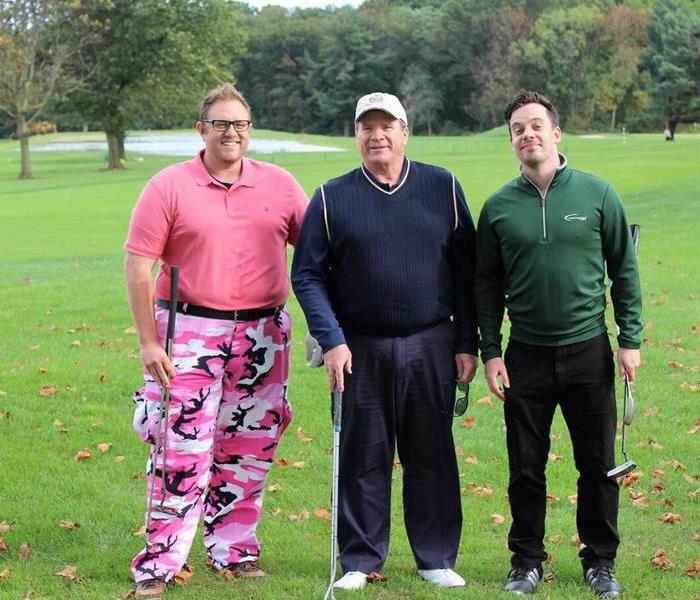 The theme was paint the course pink for breast cancer awareness month. Dave won best dressed, real men wear pink.